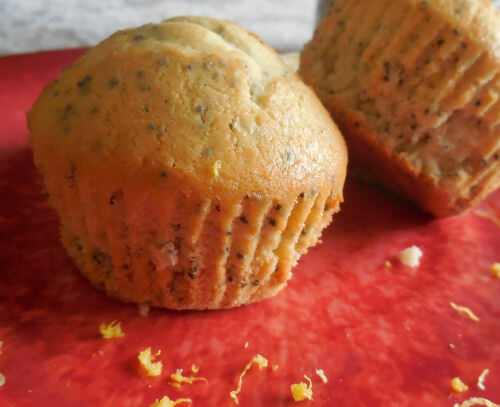 One of my daughter’s favorite muffins is a lemon poppy seed variety. She loves the tanginess of the lemon with the slight crunch of the seeds and is always happy when I make them for breakfast or brunch. This recipe is moist and delicious and has a tang of buttermilk. It is sure to be a delight with your family too. See more recipes at The Gardening Cook on Facebook. 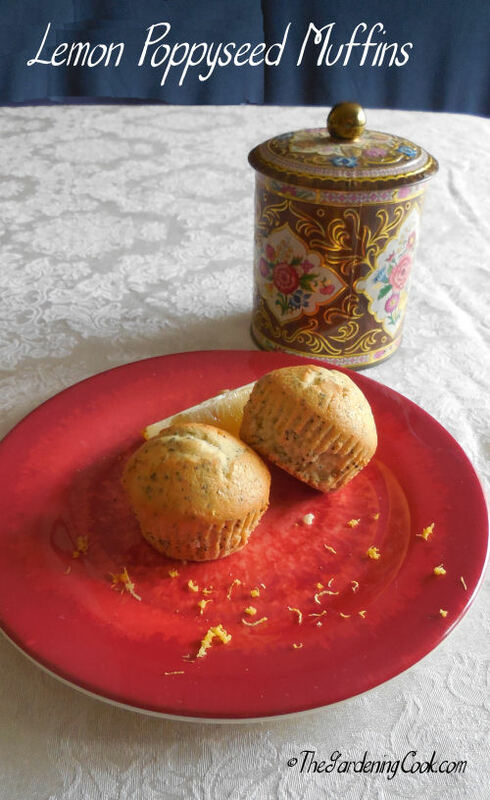 Buttermilk adds a rich and tangy finish to the sweet lemon poppy seed muffins. Preheat oven to 350°F Coat muffin tin with nonstick cooking spray. In a large bowl, cream the butter and sugar until the mixture is light and fluffy. Add the egg yolks, one at a time, beating well after each addition. Add the dry ingredients to the creamed mixture, first the buttermilk, then lemon juice, and finally the vanilla. Continue beating on a low speed just until smooth. In another bowl, beat the egg whites until soft peaks form. Gently fold them into the muffin batter until blended. Spoon the batter into prepared muffin cups, 3/4-full. Cool for 5 minutes then remove to cool completely.